Even though it's been months since I have done a post for all I am thankful for - not a day goes by that I don't stop and appreciate all of my life's little blessings. I am thankful to have the relationship I do with my husband. I love him to pieces, and we are very fortunate to be so close and laugh so often. I am thankful for my job(s). So thankful. I love my boss, her passion for the organization she created is contagious. I've never been so happy with what I am doing. And, I just got another job (working 2 now) and even though the hours are adding up, I feel so fortunate to be working and making friends/connections in our community. I am thankful for my friends. All of them. I've been lucky to have some hearty conversations this week with a few of them, and every time I hang up the phone, I feel so lucky to have them in my life. I am thankful for family. Always. I am thankful for the garbage man. I was watching our garbage truck driver guy pick up all the cans on our street and I realized how tough it is to do. Lining it up perfectly to pick up the can, driving that huge truck, and dealing with garbage. With out him, we would live in a dirty world. I am thankful for all the opportunities we have to travel. Seeing little bits of the world has made me a different person. I hope you all have a wonderful Thursday and an even more wonderful weekend! You can learn a little bit more about me over on Simone's blog... Bottom of The Ironing Basket. She is one of my favorite fellow bloggers that I have known since I started back in 2008. Thanks, Simone, for featuring me! I love these thankful posts. And I was actually thinking that was a pretty cute picture of the two of you.. obviously spur of the moment and fun! the garbage man is amazing. and strong! Munich, as in Munich Germany? Been there and its amazing. I love this! I need to take the time out more often and think about what I am truly thankful for. I agree with the running. Whenever I get tired I tell myself "I run because I CAN". So many people don't even have the ability so for that I'm thankful and I don't take it for granted. Good post! These are such great things to be thankful for! Beautiful post! I'm thankful for so much but sometimes I forget to say "thank you"
What kind of second job did you get? Your quote by Rose Franken is fantastic and I need to get it printed on something! Love that you can find so much to be thankful for! those are great things to be thankful for. I agree with Caitlin- that's a great pic ya'll are precious! I love these posts of yours. Garbage men are great! I heard once they make pretty good money but I'm not sure if that is true. You are lucky you get to travel so much! I would love to do that. Aww your Thankful Thursdays bring back the first memories I have of your blog! I love that you are thankful for the garbage man. "Without him we would live in a very dirty world." Isn't it amazing how much beauty there is in everything- even what seems like the most basic tasks? 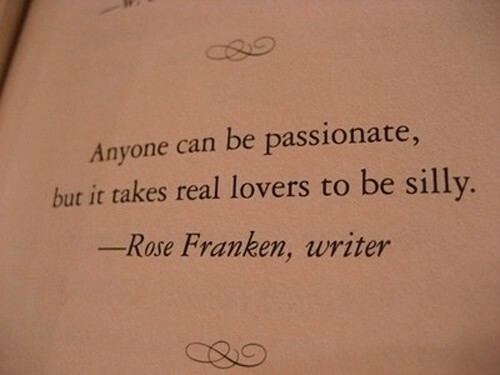 Love the Rose Franken quote! Wonderful post! I love what you said about the Munich picture - so true! The excitement of a new place!